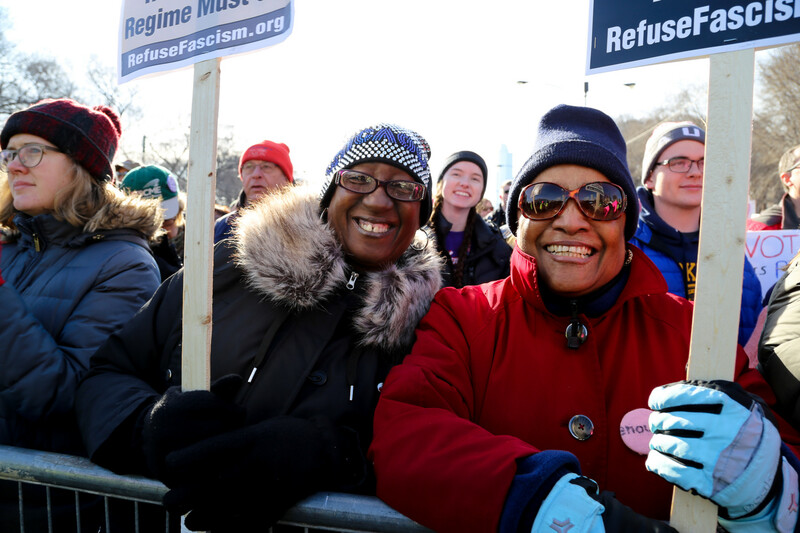 An estimated 300,000 demonstrators—nearly fifty thousand more than organizers counted last year—took to the streets of downtown Chicago on Saturday to mark the one year anniversary of the national women’s march. 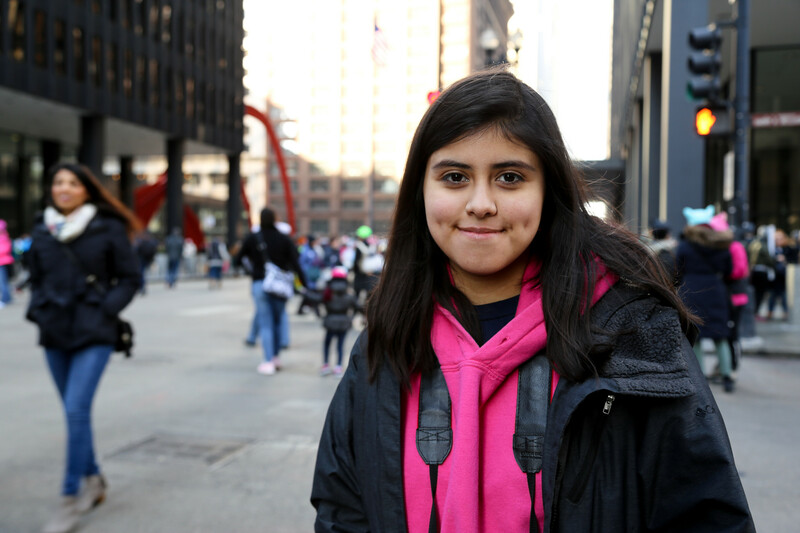 Jessica Scheller, who turns 39 next week, lives in Beverly, and is a board member of Women’s March Chicago, said they weren’t sure what to expect, but the impact this march makes during elections is what will really count. “The real measure of success is going to be what happens in these elections, what voter turnout looks like, and whether or not women feel engaged in the democratic process and a sense of ownership over what is happening in their communities,” she said. 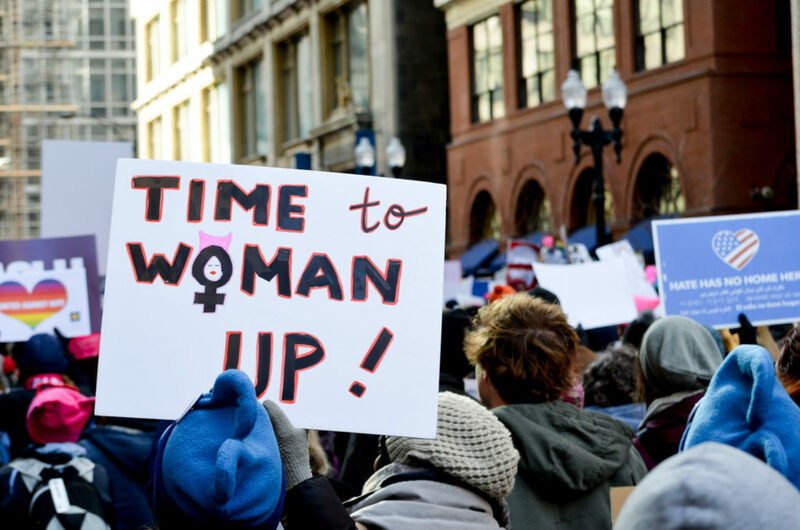 This year’s rally, titled March to the Polls, focused on engaging women in politics and voting. 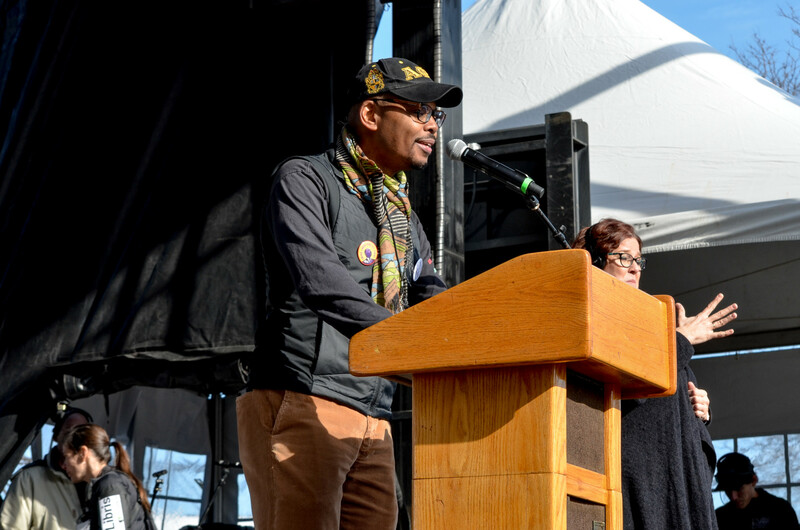 Many of the speakers were local politicians, activists, and community leaders. Speakers also touched on the #MeToo movement. 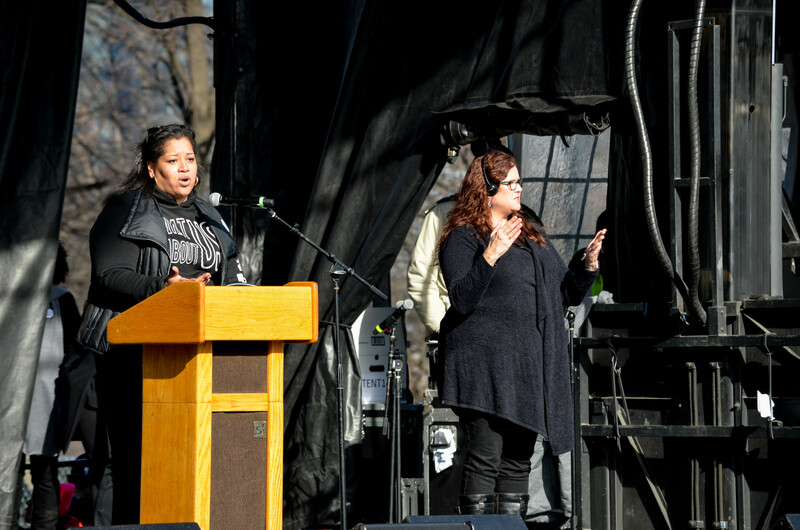 Suzette Wright, a South Side native who was sexually harassed while working at the Ford Chicago Assembly operating plant, spoke on the importance of women raising their voices when it comes to sexual violence. 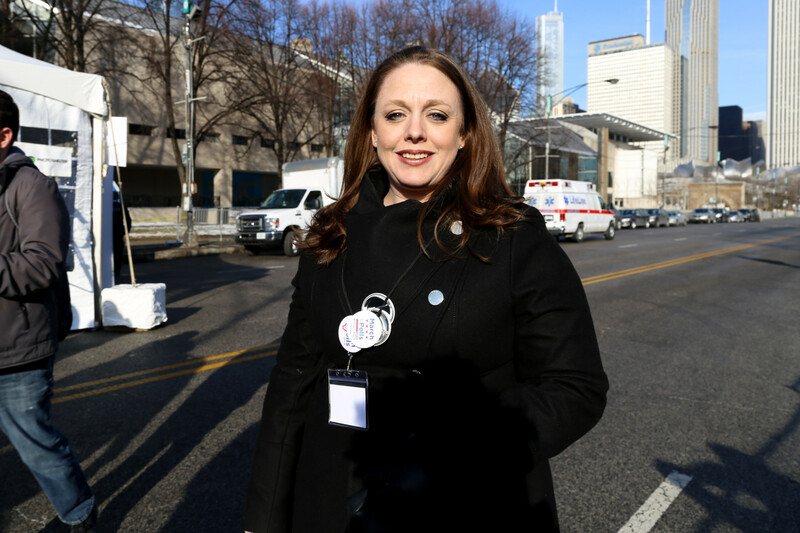 “It’s important to us at Women’s March Chicago that it’s not just the celebrities’ voices being heard on this issue, but it’s the voices of everyday Chicago women,” Scheller said. 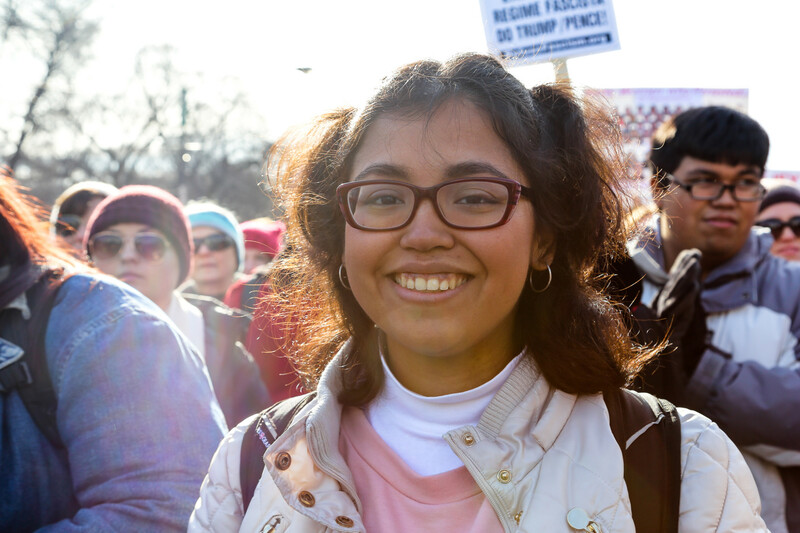 At the Weekly, we wanted to know how speakers and rally goers from the South Side felt about the march and why they attended. Here’s what some of them had to say. To hear portions of these interviews, listen to SSW Radio, the Weekly’s radio hour on WHPK 88.5 FM, on Tuesday, January 23, from 3pm to 4pm. 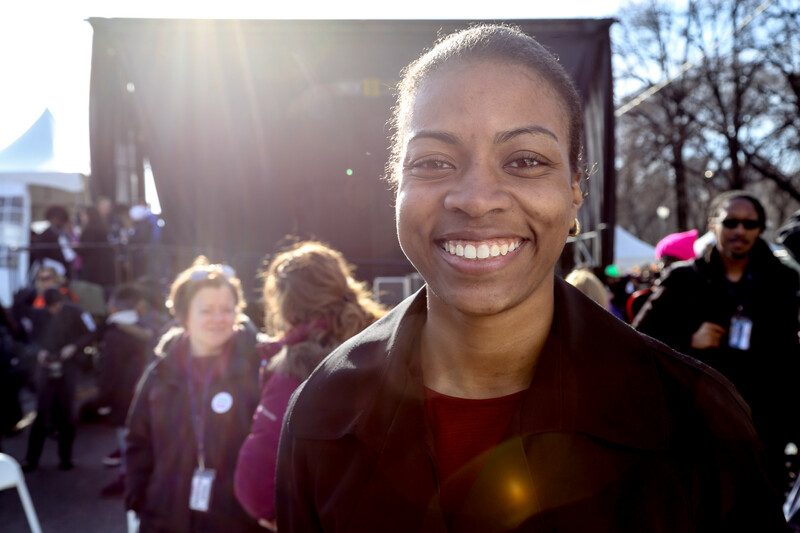 “My message today is that we are getting out to the polls so all women can be represented. There will never be a group that’s left out saying, ‘What about us?’ So whether you are handicapped, Black or white, gay or transgender, any of those things, Muslim faith. We are all inclusive of the moment and that’s what we are all about.” Suzette Wright, 47, South Shore. 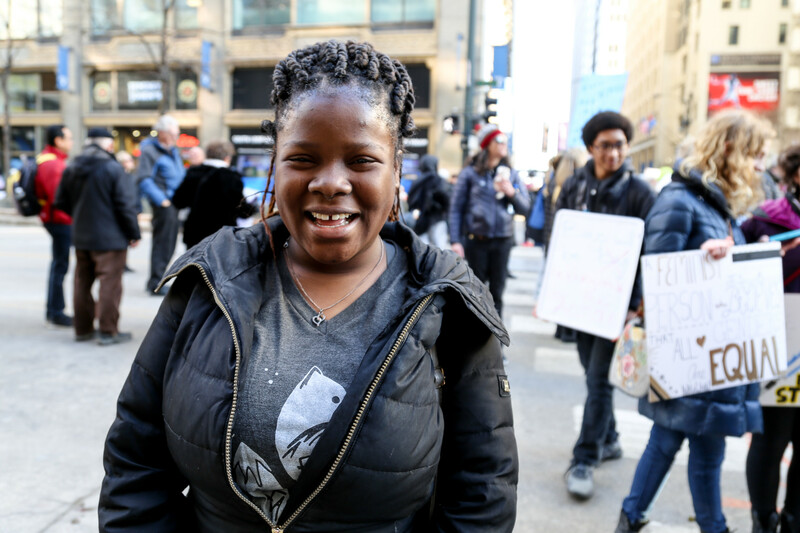 “I understand that until we deal with this issue of gender and equity and discrimination, we really won’t have racial justice. We won’t have economic justice. And, in fact, if we can merge all of these things together we will really have a movement that will impact us all fairly.” Greg Kelley, 47, Kenwood. Wonderful story! Good coverage and excellent photos! Great article, South Side Weekly! Excellent coverage! This article speaks volumes to the public outcry of women everywhere that demand respect, recognition and equality. It also captures the spirit of a unified voice that triumpfrontly stands in solidarity to move the history forward for women. Thank you!